"Absolutely Awesome." "Everything Is Awesome-ish." "Everything Is Not Awesome." Early professional evaluations of The Lego Movie 2: The Second Part have run the gamut from sounding like paid endorsements to utterly trashing the film as a time-wasting bore. This deep contrast truly puzzles me because while extremism is the ruling force of our generation and histrionics generate clicks & ad revenue, TLM2 itself is a very even-keeled, level-running, inoffensive piece of work. This movie is clearly designed to sell toys, but it pokes fun at media-borne commercialism repeatedly and with sincerity. It's self-aware, indeed, yet not annoyingly so. Gender relations & differences are explored as expected, but without preaching or demonstrating any apparent sociopolitical leaning. It tackles only the most innocent of tween coming-of-age topics that cinema always loves to seize upon. It has action-focused sequences without going all Michael Bay, but keeps its reflective narrative segments short enough to avoid the buildup of any yawns (yes I'm looking at you, The Lego Batman Movie). If you've watched the trailers and/or seen the merchandise, you know pretty much the entirety of the first 10-15 minutes of TLM2. 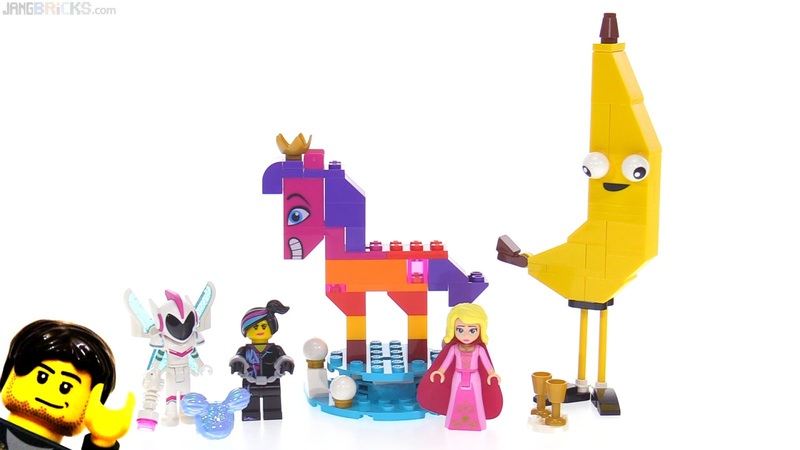 The whole Duplo invasion & sister (er, I mean, Systar) thing is established right out of the gate and confirmed for less intuitive viewers with brief peeks at the "real world." From then on, the real story arc is explored at a pace that is surprisingly consistent. Even when the inevitable big plot twist is revealed, the movie doesn't feel like it changes gears, it just confidently adjusts focus a bit on a multifaceted scenario that was already well-developed. Here, though, I must acknowledge my own personal biases. 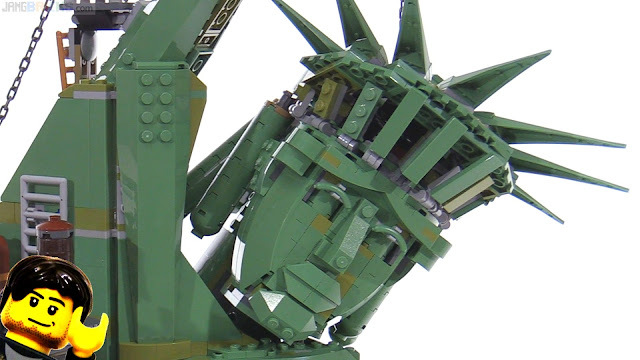 For one, I like LEGO in general, so I enjoyed watching LEGO parts and builds moving around on the screen, thanks especially to the franchise's uniquely perfected brand of simulated realism with its scratched & dusty surfaces, limited character articulation, and brick-built particle effects. I'm also an adult who recalls the ignorance and immaturity of childhood and is reminded of it on a more-than-daily basis by young YouTube commenters. I literally understand it inside and out. I know right from wrong, how to treat people with respect, and how to handle conflict. Much of the target audience of The LEGO Movie 2 does not (a fact, not a diss; again, I've been there). 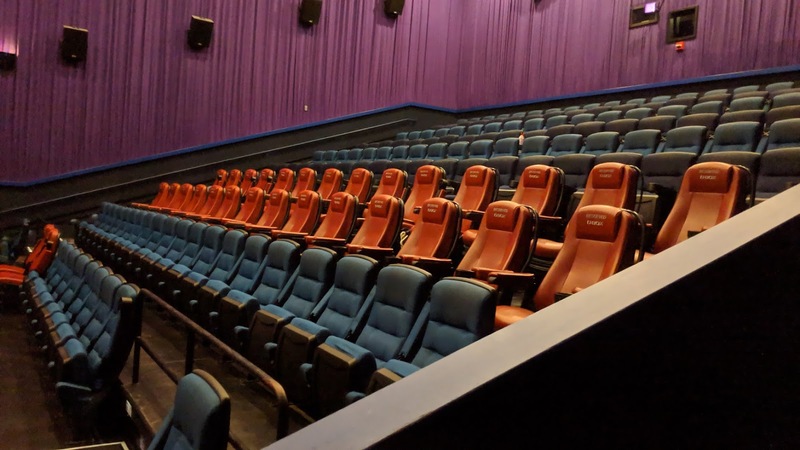 For younger viewers, some of the underlying messages conveyed in the film will connect with more weight and generate more of an emotional response than I was able to experience. Then again, if you're not perceptive to or looking out for deeper meaning in this PG animated movie about toys, you can still enjoy it for the satisfyingly fun piece of entertainment it is, early end credit sequence included (the latter lasting just minutes; once the LEGO builds go away & the song changes, there's nothing more to wait for). I honestly think the only way to dislike this movie is to enter the theater in a bad or hyper-cynical mood on a bad day and want to stay that way. Otherwise, it's difficult to not smile at the simple visual & auditory pleasures, tongue-in-cheek puns, classic slapstick, and clever amalgamations of digital pieces of plastic. The original LEGO Movie this is not. Honestly, nothing will ever top the wonder and freshness of that ground-breaking first film. TLM2 is a worthy sequel though, pulling the franchise up from the slump of the fan-offending & excessively contrived Ninjago movie and the fun-at-either-end, boring-in-the middle Batman offering. How much you'll like it personally may depend heavily upon your expectations. If you expect an instant classic, a deeply moving writing & directorial masterpiece, well... don't. If you expect to witness the cinematic incarnation of failure itself, you may consciously block out all of the goodness that's actually there. Thank you very much for your review. It's hard to believe some critics these days because of the reasons you mentioned before. While knowing you now over all these years and always a little bit more from review to review, I know that you are indeed able to review this in a clean and neutral way. Thank you for taking your time for this, Jang. That sounds a good review. I will be going to see it with an open mind, which I do with most things. The only deserved preconception I’ve had was with the 2016 Ghostbusters film. I’m looking forward to seeing a small part of my childhood flash over the big screen again. Let’s see! I liked The Second Part better than the first Lego Movie. I love both chapters, but to me, the first one was a little overrated. It felt, and still feels on recent viewing, as if it tries too hard. Vetruvius is so ridiculous that i find myself wanting to fast-forward his scenes; the Krazy-Glue on Lego bricks makes me cringe in appalled revulsion; Emmet's exaggerated boring-loserhood is over the top (and i mean like the top of Mt. Everest) to the point of annoying; and the Where Are My Pants non-joke doesn't even work as satire. But now we have The Lego Movie 2, which corrects all those missteps, expands the setting across space, kid-gender, and product lines, and has only one humorless joke (when Mom steps on the brick and overreacts, unconvincingly). The time travel bits are wonderful, the songs catchy and well-written, and all the characters feel familiar and comfy in their roles. I went to the cinema only 2 times to see the 1st film; i have been 5 times to see its sequel. Like Toy Story 2, X-Men 2 and Empire Strikes Back, this second chapter is so great that it demotes its excellent predecessor to the role of Opening Act. I love Sweet Mayhem and how she casually owns every scene she is in, including her enhanced robo-voice, levitation beam and sticker gun (complete with classic Ben Burtt sounds). The Queen is so wonderful that i found myself googling Tiffany Hadish to hear more of her voice, and Rex's backstory is a great homage to many of my childhood cinematic inspirations. Congratulations to Warner Animation Group, Animal Logic, writers, directors, composers and voice cast. Can't wait to buy the Blu-Ray of TLM2 so i can finally Pause and build Emmet's back porch, Rex's pool table and Pres Biz' golf cart.